Chhattisgarh will see polling on April 11, April 18 and April 23. BJP had said it will replace all ten incumbent MPs in Chhattisgarh after its electoral defeat last year. 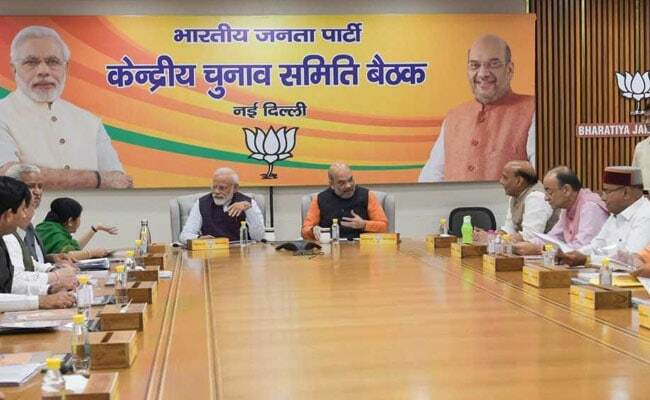 The BJP has announced candidates for five out of 11 Lok Sabha seats in Chhattisgarh, dropping sitting MPs including a union minister of state. Candidates for all five reserved Lok Sabha seats -- Surguja, Bastar, Raigarh and Kanker (reserved for Scheduled Tribes) and Janjgir-Champa (Scheduled Castes) were announced when the party came out with its first list on Thursday evening. The party had announced earlier that it will replace all ten incumbent MPs in the state after the party lost the Assembly elections last year. Union Minister of State for Steel Vishnudeo Sai, who had won four times (1999, 2004, 2009 and 2014) from Raigarh seat, has been denied ticket. Other sitting MPs who do not figure in the first list are Kamalbhan Singh (Surguja), Dinesh Kashyap (Bastar), Vikram Usendi (Kanker) and Kamla Devi Patle (Janjgir-Champa). Firebrand woman tribal leader Renuka Singh, who was MLA from Premnagar (2003-2008) and served as woman and child development minister in Raman Singh government, has been fielded from Surguja Lok Sabha seat. Another woman tribal leader Gomtee Sai has been fielded from Raigarh. In Maoist-hit Bastar Lok Sabha constituency, Baiduram Kashyap, a two-time MLA and current BJP Bastar district chief, has been given ticket. Mohan Mandavi has been fielded from Kanker instead of the sitting MP and state BJP chief Vikram Usendi. Former MP from Sarangarh (2004-09) Guharam Ajgale will contest from Janjgir-Champa seat this time.